My favorite season is here! Two new Weeknd songs are on my Spotify playlist, pumpkin spice coffee is in my mug, and my sweaters are hanging up in my closet. My point? I'm a happy camper! And the best part? 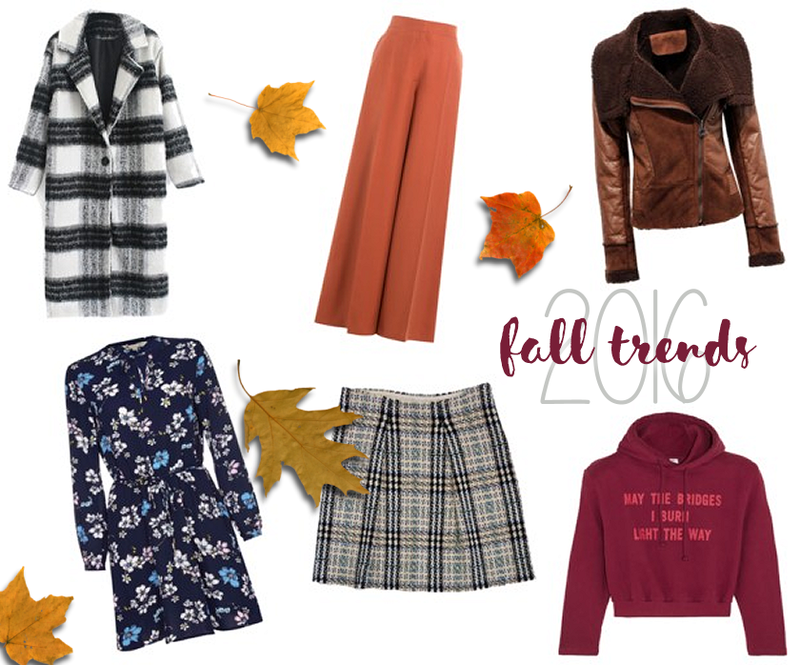 Fall fashion is back! Layers, plaid, cozy fabrics. Bring it on! As always, I focus on the trends that I actually like or find wearable. Sure, that pink and yellow combo looked great on the runways. But in real life and on me? No thanks. I think fall is the easiest season to dress for and maybe that's part of the reason why it is my favorite, besides the weather and all of that holiday goodness. Plaid Overcoats - I have a plaid jacket in my closet and it is one of my favorites to reach for. Fall Florals - Small but still bold, this year. Original? No. Classic? Yes! Pumpkin Orange - Not just for your PSLs this time. Shearling Jackets - I want one every year and have yet to invest. They look so cozy. Hoodies - WIN. I love the current athleisure and comfort trends going around. Please don't leave! Gray Plaid - Sure, plaid is always in. But gray is where it is at this season. What fall/winter trends are you most excited about?